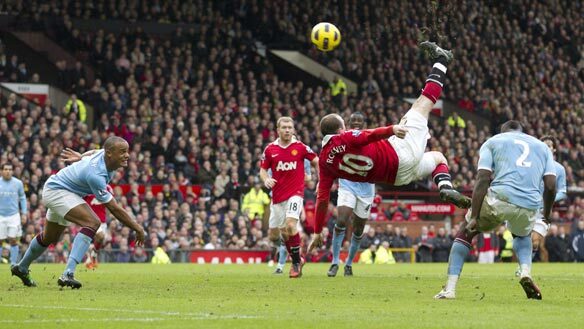 Shrek had scored a memorable winning goal in the Manchester Derby, I parked my car outside the east stand of Manchester City’s Eastlands stadium – in pouring rain. a) Not undertaken often – or lightly. b) Fraught with anxiety in case the team loses, thus providing City followers with bragging rights until the next encounter. But, as I unfurled my umbrella in readiness to fend off the familiar Manchester downpour, I wasn’t feeling anxious at all. In fact, I was feeling rather excited as I started the short walk to the National Squash Centre. 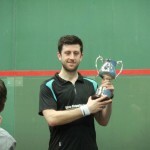 It was finals day in the 2011 National Squash Championships. 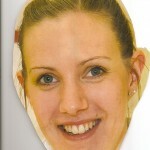 Over the next seven hours or so, fifteen finals were contested in the Centre, six of them – including that of the England Deaf Squash Association’s Rebecca Macree Trophy – on the Championship showcourt. For me, it was the first time I’d ever watched squash played in, or rather relatively near to, my home town. I first watched a squash match when I moved to the South East of England after graduating from university and immediately caught the squash bug. I can’t honestly remember even having heard of the game throughout my formative years in the North West, let alone seen it played. But, eventually, all it took was one experience as a spectator to get me interested, and then hooked. Today, returning to Manchester is like entering a squash heartland. The National Squash Centre was opened here in 2002 as part of the Sportcity complex constructed for the 2002 Commonwealth Games. Since then, it’s hosted 9 National Squash Championships as well as a range of international tournaments including the World Squash Championships of 2008. In September this year, another major tournament, The British Grand Prix, will be contested here by many of the world’s top men players. But as well as its success in hosting major squash tournaments, Manchester has established a pattern of running legacy projects alongside every one of them. And it’s the establishment of this pattern which has had a major impact on the development of squash communities in the region. So, with that in mind, what’s been happening with squash at grass roots level in the rainy city? For the last few years, one of the aims of Manchester City Council has been to develop squash opportunities for its residents with the purpose of ensuring that every young person can realise their potential by taking part in a squash development programme. As a result, Manchester now boasts the largest squash coaching programme in the United Kingdom. The city has its own Squash Development Officer, charged with engaging local schools, squash clubs, leisure centres and businesses, and gaining their support to form new partnerships, set up new competitions, and form new clubs. During the past year alone, 5 new partnerships have been formed to create school to club links, over 2000 students across the city have been introduced to squash, and the Manchester Junior Open tournament has been revived. 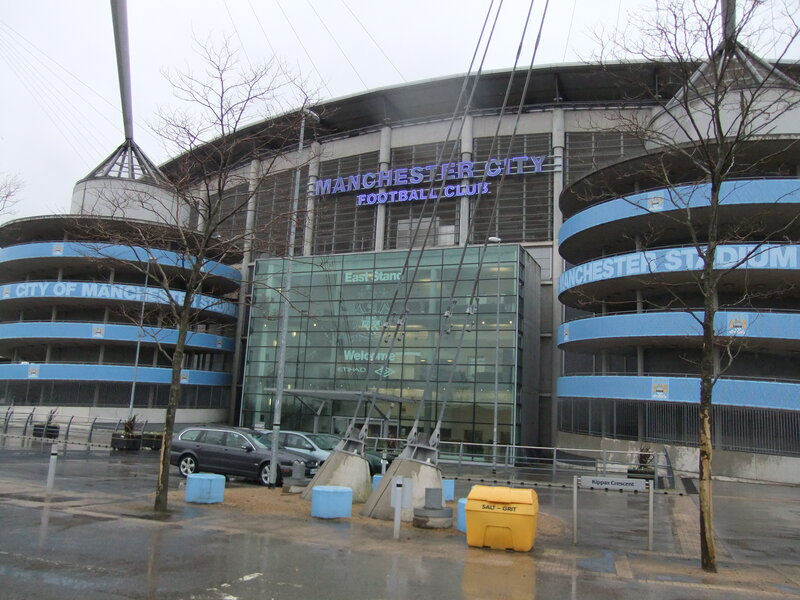 The Manchester Schools competition has also been resurrected with up to 20 teams, and a new squash club has been formed in the Moss Side area of the city, previously the location of Manchester City’s Maine Road stadium. During my visit to the Championships I did manage to grab a few brief words with Manchester’s Head Squash Coach, Chris Lengthorn, some of whose juniors had just demonstrated their impressive racket skills on the showcourt between finals. 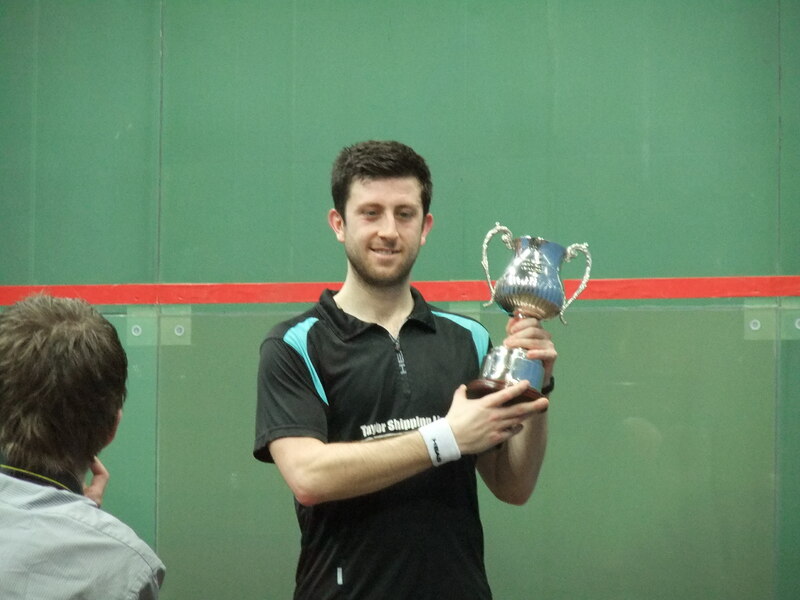 Not surprisingly, Chris and other local squash coaches have played a major part in the ongoing success story that is Manchester Squash, and it’s easy to see why he sounded so enthusiastic about the future. 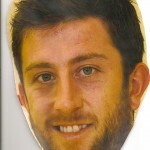 But if he appeared excited when I chatted to him, Chris Lengthorn was about to get a whole lot more excited. His sister was about to contest the 2011 Women’s Championship Final. On the tournament showcourt, Laura Massaro (née Lengthorn) from Preston was up against World No 2, and tournament top seed, Jenny Duncalf from Yorkshire. It had been just over a week since Massaro had beaten World No 1 Nicol David in the US state of Ohio to win the Cleveland Classic. But having lost on her only previous appearance in the National Final in 2008, Massaro made no mistake this time, beating Duncalf 3-2 in a tight match. In doing so, she became the first Lancastrian woman to take the National title, as she proudly pointed out during her post-match interview. In the Men’s Final, there was another upset with World No 1 Nick Matthew from Sheffield losing 3-2 to Harlow’s Daryl Selby in an 84-minute match featuring some astonishing retrieval by both players. In a gesture of sportsmanship rarely seen in many other sports, Matthew called his own shot down on match ball leaving Selby to savour the moment. In losing, Matthew failed in his attempt to make it 3 National titles in a row. 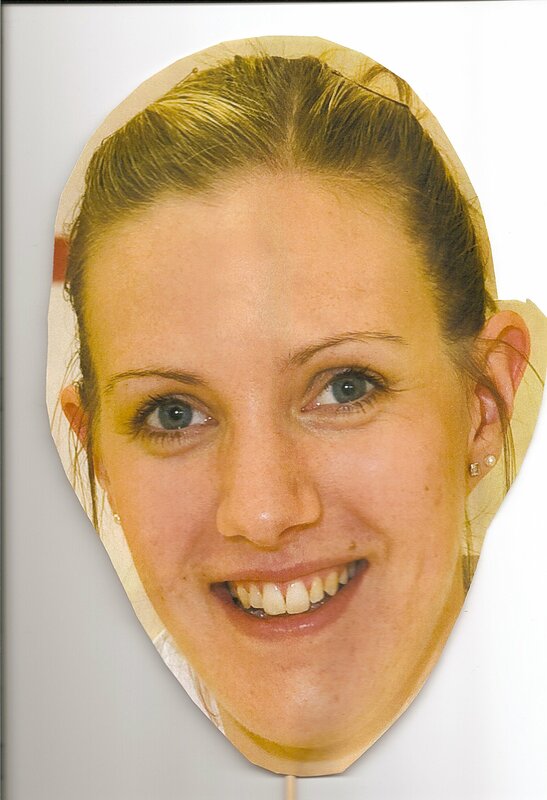 On a personal note, I was rather pleased with my choice of souvenir supporters’ facemasks offered free to visitors to the England Squash and Racketball stand in the tournament exhibition. 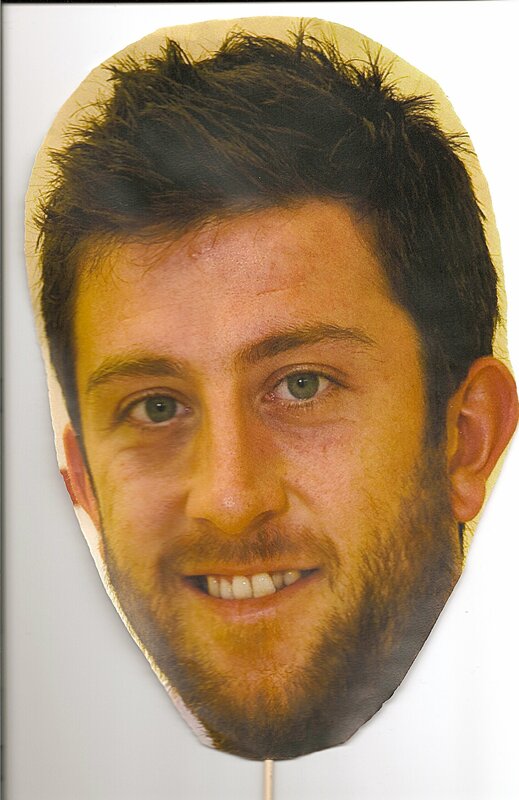 I picked the masks of the eventual champions – mainly because I play squash at Harlow (Selby) and am a Lancastrian (Massaro) – although I have to confess that I didn’t actually wave, or hide behind either of them. Sorry. I was also heartened by the inclusion in the Championships, for the first time, of a Men’s Over-75 competition. I’ve now added this to my list of squash goals on the sole basis that the first winner, Lance Kidner of Hampshire, will be well into his nineties before I’m eligible to qualify as a competitor. By which time, I reckon I’ll be able to take him. And, finally, I was extremely impressed with the National Squash Centre and the helpfulness and professionalism of the staff, stewards and volunteers. But then, coming from the North West of England, I would be, wouldn’t I? When I finally walked out of the main entrance to the Centre, over seven hours after I’d entered it, it was still raining. If you’d like to find out more about squash in Manchester, visit Manchester City Council’s “Squash Development” website. It doesn’t mention rain anywhere. Whatever the difficulties involved in developing squash in Singapore nowadays, there can be little doubt of the country’s success in promoting the game throughout the whole of South-East Asia. Indeed, Singapore still has a reputation in the region for punching above its weight, not least in the global financial services industry where it provides employment for over a quarter of a million people. But, as in so many countries, the story of squash in Singapore really begins in its colonial past when squash courts began to appear in many of the camps occupied by British military personnel. And with the appearance of the courts came a passion for the game which still survives today. After the Second World War, squash courts sprouted up in various British military camps such as the Army’s Gillman Barracks and the Royal Air Force’s base in Changi. The location of the oldest squash court in Singapore isn’t clear, largely because so many have either been demolished or incorporated into other facilities. The British passion for squash gradually expanded to the Singapore Armed Forces and the Singapore Police Force during the transition to self-government in the late 1950s and early 1960s. Not surprisingly, many of the first local exponents of the game emerged from these uniformed groups. In the late 1960s, squash (together with canoeing and, later, rugby) was promoted by the country’s Ministry of the Interior and Defence as part of a platform for building a rugged society. Singapore’s Defence Minister at the time, Dr Goh Keng Swee, believed strongly in squash as a physically demanding game ideally suited to improving the mental discipline and development of military personnel. Pioneer trainee air force pilots took up the game in droves. 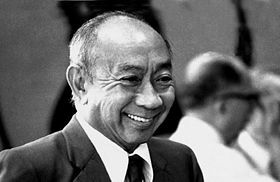 The first Director General of Staff, Mr Tan Teck Khim also played a pivotal role in promoting squash in the Singapore Armed Forces after independence in 1965. He later became the Commissioner of Police and was instrumental in the development of squash in the Singapore Police Force. 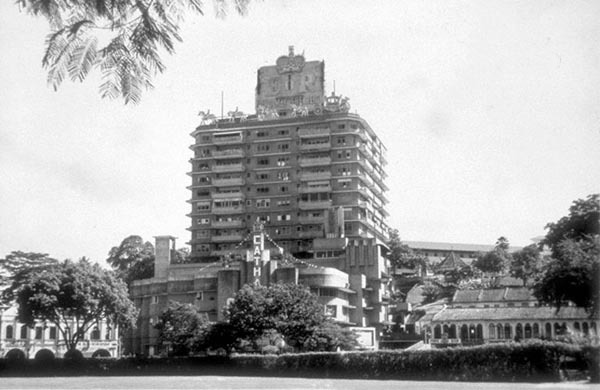 Tanglin Club and Singapore Cricket Club were the earliest private clubs to introduce squash, largely because of the influence of the British members at these clubs. The earliest public courts were built by the National Sports Promotion Board, the forerunner of the Singapore Sports Council. These archaic courts had low ceilings with poor ventilation and dim lighting. Unsurprisingly, playing squash in extremely humid conditions with small-headed wooden rackets provided a major challenge to enthusiasts. However, the interest in playing squash was so great amongst the members of the public that players were obliged to queue in person at the court booking offices one week in advance just to make sure that they could play during their preferred time slot. Phone bookings were unthinkable. 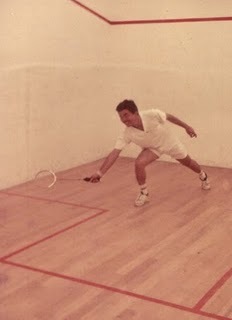 The rush to book squash courts eased tremendously with the proliferation of new squash courts all over the island from the 1970s to the 1990s. Almost every new apartment block or condominium incorporated a squash court in their facilities and playing the game at any time of the day or night did not pose a problem anymore. The Singapore Armed Forces Sports Association, The Singapore Armed Forces Reservists Association, The Police Sports Association and many social clubs contributed to the rapid increase of squash courts in the country as the sport was regarded as being the “in” thing. In 1973, the first national squash championships were held and, in the late 1970s, Singapore also played host to the PIA World Series featuring the top 20 squash players of the world including 8-time British Open champion Geoff Hunt of Australia. By the end of the decade, the level of participation squash had risen to such a level that it was perhaps inevitable that a word class local hero would emerge from the island’s squash playing community. Zainal Abidin ruled the squash courts of Singapore for 10 years and was Singapore’s undisputed squash champion from 1977 to 1986. He not only put Singapore squash on the Asian map, his extraordinary skills also extended the republic’s reputation on the world squash map as well. Abidin started playing squash in 1977 when, as a 19 year-old, he was serving his national service with the Police Force. It was a considerably late age to begin but his natural talent, instinct and abilities for the game soon ensured his meteoric rise. His triumphs and achievements also helped develop a large following and participation in the game throughout Singapore. Squash was being played at all levels, from pre-teens to young adults to senior citizens. Such was the appeal of squash in the 1980s, a development made possible due to the exploits of the games local heroes, Abidin, Peter Hill and Jeremy Yeo. In the women’s game, it was to take a little longer before the emergence of a local hero. Lim Seok Hui started playing squash just before her 11th birthday with the encouragement of her avid squash enthusiast parents. She was only 13 years old when she represented Singapore at the East Asian Women’s Squash Championship in Hong Kong – making her amongst the youngest competitors in the history of squash in Singapore and East Asia. In 1983, the 16 year-old became the youngest champion in the history of Singapore squash when she won the Singapore Open title. The following year, she became the youngest ever female player to win the East Asian Women’s Squash Championship overcoming Hong Kong’s Julie Hawkes. Abidin and Hui are still Singapore’s most famous squash players. But over a quarter of a century after their heyday, what is the state of Singapore squash today? In March 2010, the Straits Times reported that bookings for squash courts had risen steadily over the previous few years according to figures released by the Singapore Sports Council. But statistics can be misleading. Although a huge number of squash courts were built in the 1980s and 1990s, many were either under-used or were converted to alternative uses, such as gymnasiums, children’s play areas, table tennis halls and even karaoke lounges! So, it’s likely that participation in the game in Singapore has declined over the last couple of decades. Despite this, live television coverage of international squash tournaments such as the Singapore Women’s Masters has recently re-commenced. And although there’s more to reviving the game than just getting greater publicity, Singapore’s continuing financial success, and its financial services community, may still prove to be a useful source of investment in the sport – as well as attracting a new crop of competitive individuals to the island’s squash courts. Time to re-visit the Wall Street model, perhaps? For a detailed description of the development of squash in Singapore, read Munir Shah’s excellent article “Squash in Singapore – The Early Years”. 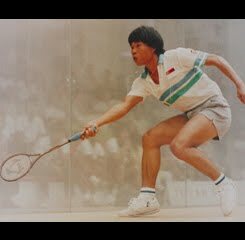 You can also read Lam Chun See’s personal reminiscences of his squash playing life on his “Good Morning Yesterday” blog.